Apple Crisp may seem like a strange recipe to post on the third day of June, but I have my reasons. While most of the country is melting in the oppressive heat, we are experiencing Fall like temperatures here in Eastern Iowa….. I just took Alex to pick up his car, YES it is finally done, and I wished that I had taken a sweatshirt. Now I am not complaining, I LOVE these temperatures! 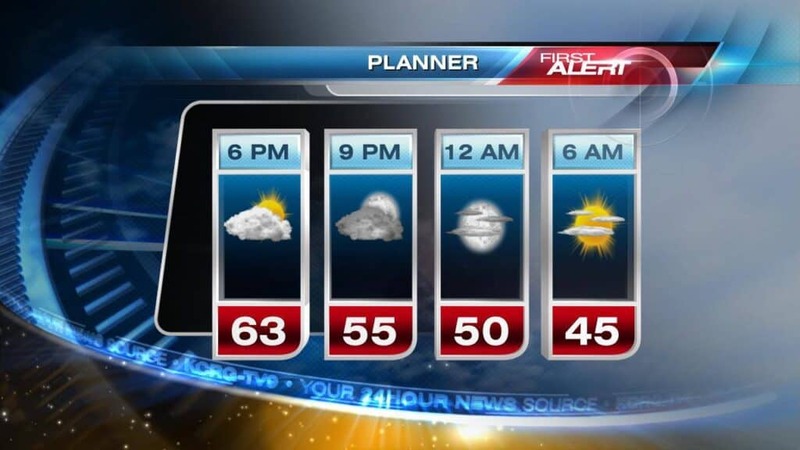 The weather roller coaster is just a bit hard to plan for, or should I say dress for. Last week we were in the upper 80’s with high humidity. At least it stopped raining! Today just feels like the kind of day that you would enjoy some warm apple crisp topped off with some creamy (non-dairy) ice cream. Okay, focus Lisa…. 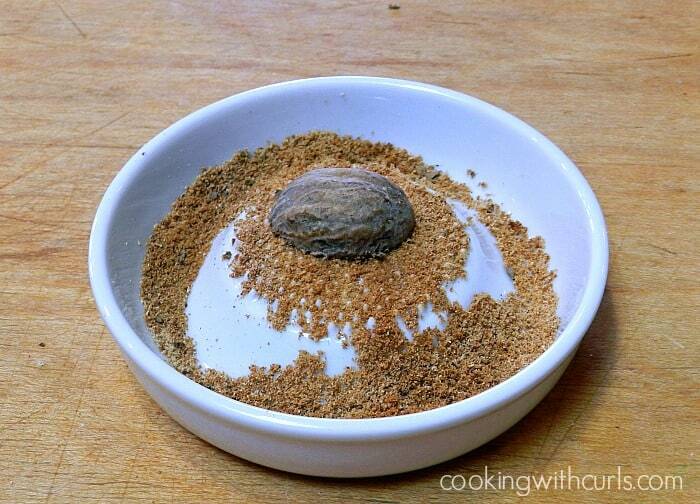 Do you grind your own nutmeg to use in recipes? I always do, in fact I use this really cool ceramic grater for nutmeg and fresh ginger…..
that is the whole nutmeg sitting on top. 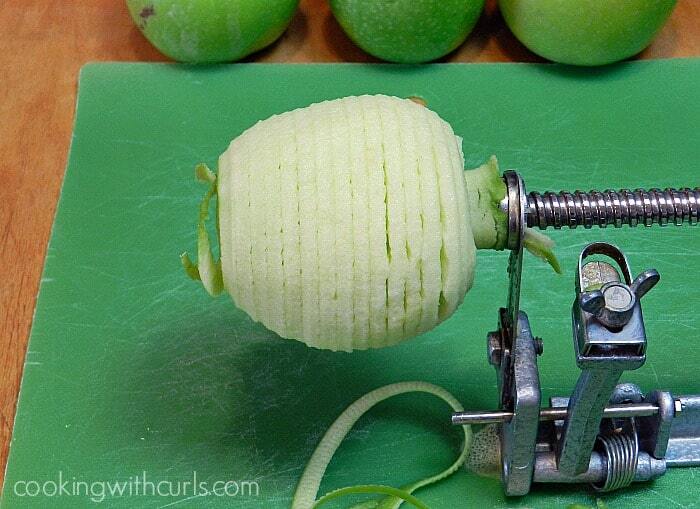 And in case you are wondering how I get my apple sliced so perfectly. It is thanks to this handy dandy corer/peeler/slicer gizmo…..
Preheat oven to 375 degrees. Butter an 8 x 8 x 2 baking dish. Set aside. Stir brown sugar, oats, flour, and spices together in a large bowl. 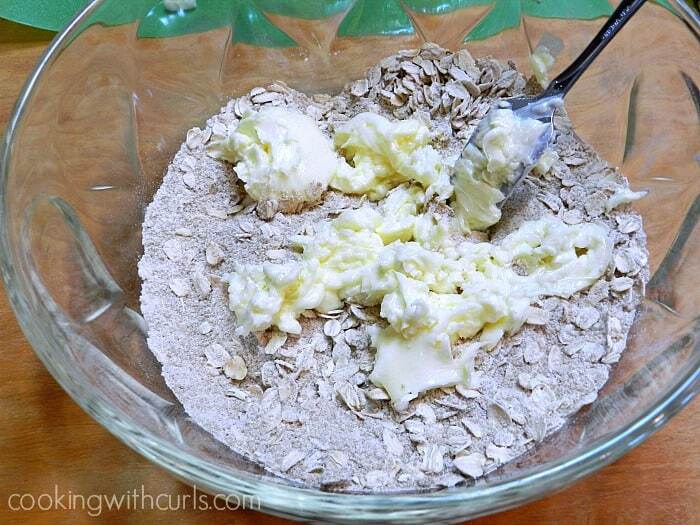 Mix in the softened butter to form a crumbly topping. Set aside….. Core and slice your apples (mine are also peeled, I’m just weird that way)…..
Place the apple slices in your prepared baking dish…..
Sprinkle topping mixture over the apples. Bake for 30 – 35 minutes until the apples are tender and topping is golden brown….. 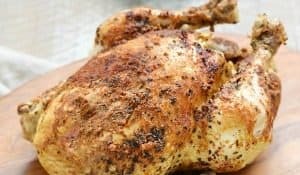 Serve warm with Vanilla Ice Cream…..
My original purpose for this website was to be a family cookbook for my kids. I never realized what an awesome “scrapbook” it would become, full of recipes, memories, and photos 🙂 Am I sounding sentimental? Maybe it’s because Cassi comes home in less than 3 weeks!!! Old-fashioned Apple Crisp with a hint of cinnamon and nutmeg, topped with Vanilla Ice Cream for the perfect family dessert! Stir brown sugar, oats, flour, and spices together in a large bowl. Mix in the softened butter to form a crumbly topping. Set aside. Core and slice your apples (mine are also peeled, I'm just weird that way). 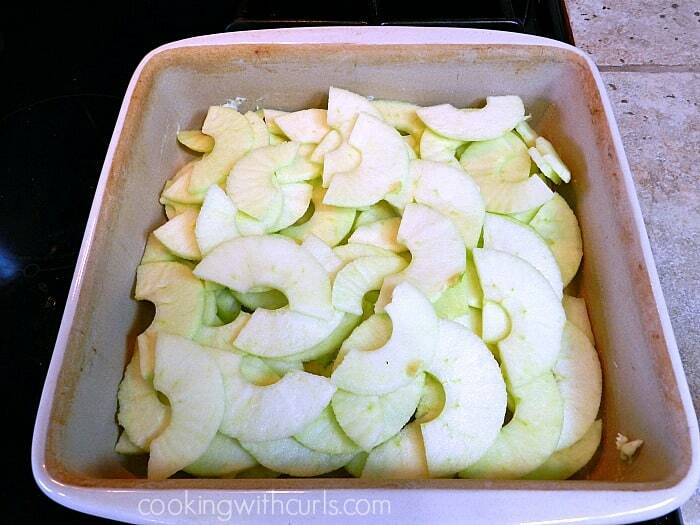 Place the apple slices in your prepared baking dish. Sprinkle topping mixture over the apples. Bake for 30 - 35 minutes until the apples are tender and topping is golden brown. I don’t care what month it is, Lisa, I will eat apple crisp any place, any time. 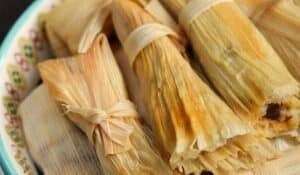 Fall is my favorite time of year, and I always love those foods. That apple peeler/slicer is awesome, and I want a piece of that crisp. Where on earth did you get that awesome nutmeg grinder? That is too cool! I’m also not picky about the time of year I eat apple crisp. Forth of July is coming fast, and this will be perfect! Thank you for the sweet comment on my little dresser. Cheers. 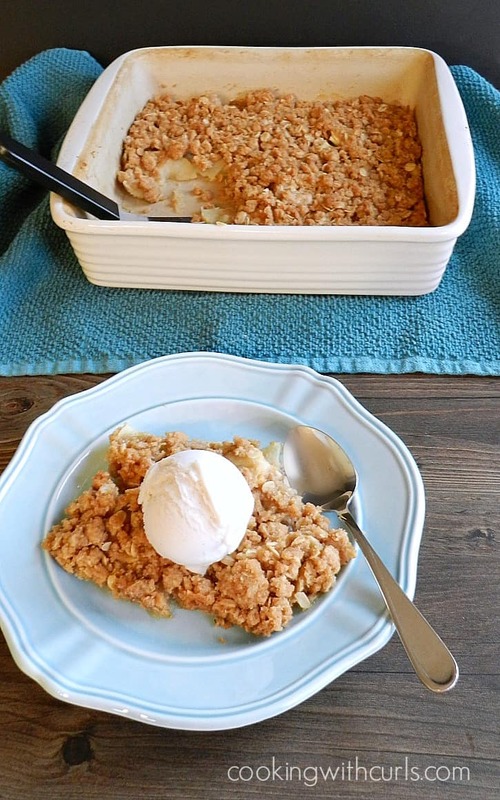 Let’s be real: Apple crisp is awesome at ANY time of year! Also, I want that apple corer! Oh how yum is this!! Hey, I don’t care if it’s 95, I’ll still eat this. Don’t you just love the apple dilly thing?! I use mine all the time but especially on Halloween night…I sit outside with a cute table set up at the end of the driveway. I have a bowl of cinnamon and sugar, warm caramel and a whole huge bucket of apples. As the kids come up to get candy, I give the parents (and kids) some apple slices (using this gadget) a fun little treat dipped in the cinnamon/sugar and drizzle the caramel over it! 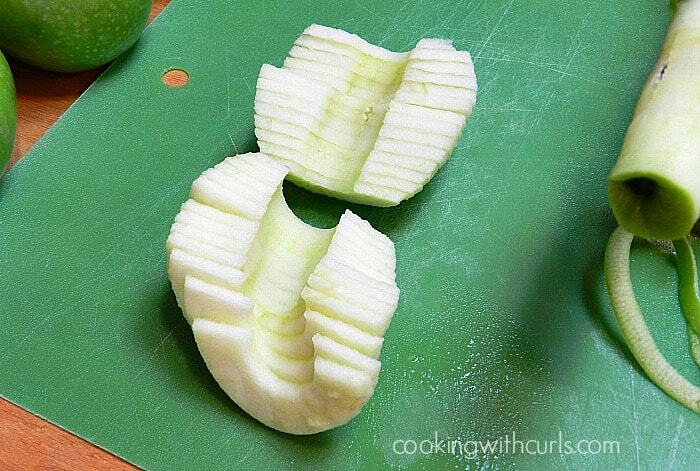 It’s been a hit every year…the fact the kids get a kick out the apple corer/slicer device! Can´t go wrong with a good apple crisp, no matter what time of year it is. It looks delectable! That’s a great little gadget to have for apples! And mmmm, apple crip.. It sounds so warm and delicious! 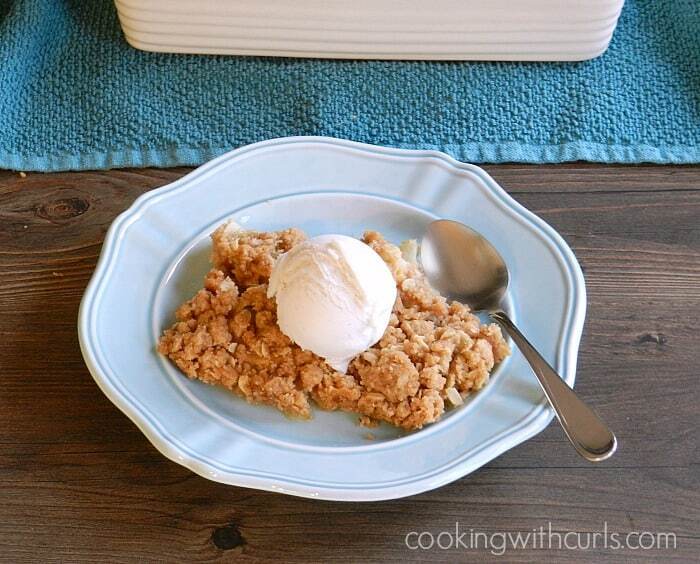 Apple Crisp is good any time! I have one of those apple peelers – it is a great kitchen tool!! 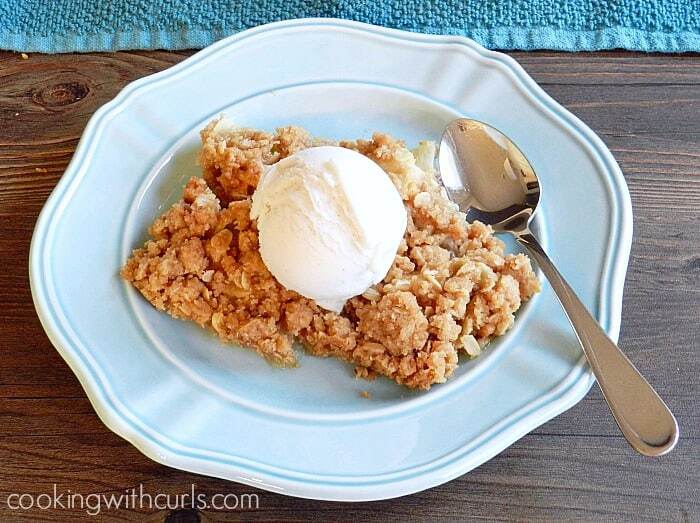 There’s nothing wrong with an apple crisp in June! It’s refreshing and really, who could pass this up! Apple is my fave right after lemon. Ever since someone gifted me with my nutmeg grinder I would never use pre-ground again. I am loving your peeler. I never gave them much attention because I thought they didn’t work. Apparently I was wrong. Now I want one. I need one of those apple peeler, corer, slicer things! I love apple crisp! Thanks for sharing at Sweet & Savory Saturdays #17. Mmmmmm apple crisp! Such amazing comfort food! 🙂 Thank you so much for linking up with me this week at Tasty Tuesdays! I’ve pinned this & shared it with my followers! YUM! Just wanted you to know I am featuring this on the Make Bake Create party tonight! Thanks for linking up! First off, I can’t tell you how jealous I am of your weather. I hate the really cold winters but at least I can add a sweater and be warm but summertime? There’s only so much clothing I can take off and I’m still hot! And there is never a wrong time for Apple Crisp, one of my favorite comfort foods. Thanks for sharing at Thursday’s Treasures, I’m featuring you this week! Thanks so much for sharing your recipe at the Say G’day Saturday linky party. I will be featuring you at this week’s party. 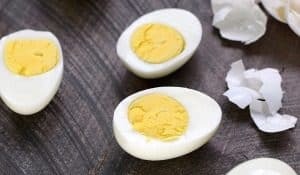 This is such a great recipe to get into the oven when you just NEED desserts – which for me happens on a regular basis! This looks delicious! Found you thru A Peek Into My Paradise hop. Wow. 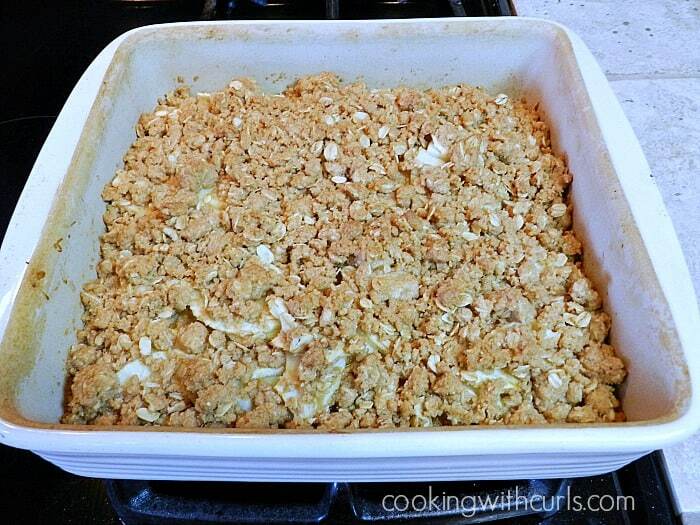 This apple crisp look is a pure combination of taste, I love healthy food.